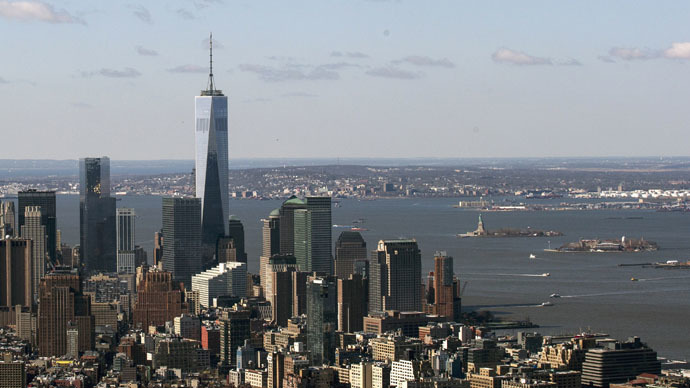 The New York skyline is set to become even taller. The planned Nordstrom Tower received a height boost, which at 1,795 feet (547 meters), will make it not just the tallest building in Manhattan, but also in the whole of the Western hemisphere. Once completed, the Nordstrom Tower was due to be just a foot shorter than the One World Trade Center (1 WTC), which sent the designers back to their drawing boards to come up with a way to surpass it. They added an extra 19 feet (5.7 meters) to the spire, which will set a new record when the skyscraper is scheduled to be completed in 2018. The tower has been commissioned by Extell, who have been keeping their design plans under wraps. It was reported by the New York Yimby, which describes itself as the “go-to resource for cutting-edge information on new development in New York City,” that the 19-foot extension was given the go-ahead between April and June 2014. Architects Adrian Smith and Gordon Gill are involved in the project and they are accustomed to building some of the world’s tallest buildings. The duo can lay claim to helping to construct the highest skyscraper on the planet, the Burj Khalifa. The height of the tower in Dubai, which stands at a massive 2,717 feet (828 meters), was kept a secret until it was eventually finished. The eventual height of the Kingdom Tower, which is under construction in Saudi Arabia, is still unknown. When complete, it is believed it will have a height of 3,284 feet (1001 meters), which would make it the first building in the world to be over one kilometer tall. The new Nordstrom Tower will be built on 57th Street’s “Billionaires’ Row,” and the building will also include a seven-story Nordstrom department store. The tower is one of a number of massive skyscrapers that are slated to be built south of Central Park. Opponents of the projects say the new tower blocks will cause shadows to be cast over the park.